If you are looking for the best insulation contractor that provides great service and has a customer-friendly approach, then you’ve come to the right place. At Florida Energy Solutions, our goal is to help our customers to save energy and money on their utility bills. We will make sure that your experience with our insulation services is a pleasant one. Our team will stop at nothing to ensure that you come are more than satisfied with your service. Spray foam insulation is the most superior protection against the hot, humid climate in Central Florida. This eco-friendly product will seal your home from the outside elements and keep your conditioned air inside and comfortable. This type of insulation will provide the most energy and money saving benefits compared to our other services. 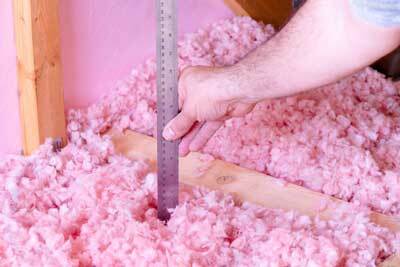 Whether you have an older or newer home, your fiberglass insulation may be costing you money. Replacing this old technology with a newer cellulose insulation will reduce your energy consumption, lower heating and cooling costs and will even reduce your carbon footprint since it is made from recycled materials. Insulated concrete block is a great way to prevent your cold, conditioned air from escaping through your walls. Not only will it stop the air from leaking out but it will also stop our Central Florida heat from coming inside. If you have an older home, your insulation may contain materials that may be damaging the health of your family. Re-insulating your home will not only save you money but will ensure a healthy environment for your family. Our materials are made from recycled newspaper so they are eco-friendly and completely safe!